This is a new piece of mine. 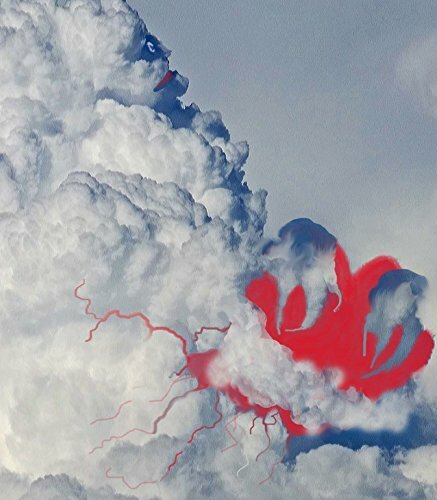 I chanced upon a fabulous cloud formation and then worked on it digitally to bring out the cloud's "human" features. He is clutching a heart-perhaps for his cerulean soul mate? This is a reprint of the original. It will be shipped as an 8.5x11 print. Thin white margin.